Hello everyone! I have to apologize for not putting out my newsletter last month ....... I found out my 17 year-old daughter is pregnant and my house was in an uproar for awhile. I'm going to become a grandmother for the first time in February. Things have settled down, so I'm back in groove and was able to go do some interesting things this past month. I'm branching out to places outside of Cape Coral that I know you'll want to go to. This is Mark Miloff, I've known him for several years and not only is he an excellent rental agent, but also an upstanding person. Mark would be very happy to help you with either vacation or annual rentals. You'll appreciate his quiet yet competent professionalism, his knowledge of Cape Coral, and his sense of humor. Go to Cape Coral Rentals for more information! We are all looking for a little heaven on earth and for many people ...... that's Ft Myers Beach. 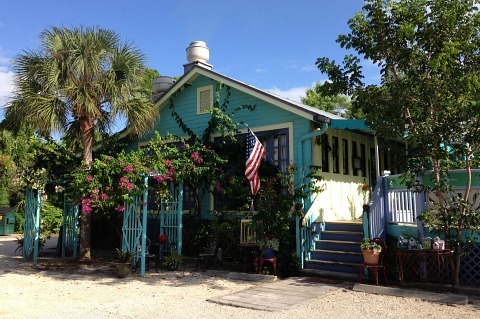 And, there are many in Ft Myers Beach who would tell you that Heavenly Biscuit lives up to its name with their delicious biscuit sandwiches and cinnamon buns. 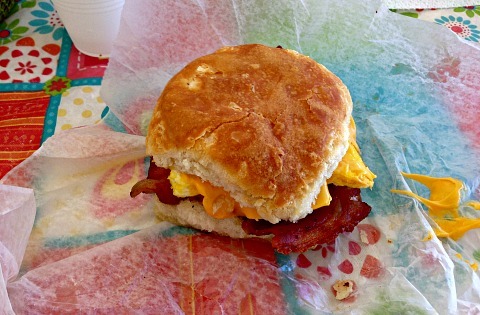 We went and couldn't agree more, so ...... the first chance you get, go to Heavenly Biscuit. Scroll down further on the page to see about Matanzas Pass Preserve, another piece of heaven, and a perfect spot for a "biscuit picnic"! 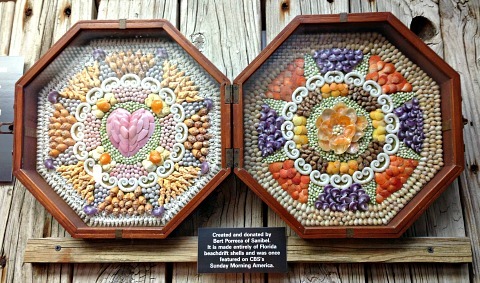 I love going out to Sanibel and had been wanting to go to the Sanibel Shell Museum. I took my parents for an outing one day and we were pleasantly surprised. The museum has lots of interesting exhibits and educational movies that we found interesting and informative. Il Tesoro serves up charm, romance, and the best food! All your Italian favorites are artfully prepared with the freshest ingredients. Go a little earlier so you can go to Tower Art Gallery next door, then after dinner, go to the beach to watch the sunset! As for page updates, Heart and Soul Massage in Cape Coral moved to a great new location. They have the best prices for massage and the best massage therapist, my older daughter, Sophie! Plus, they offer skin, hair, and nail services. 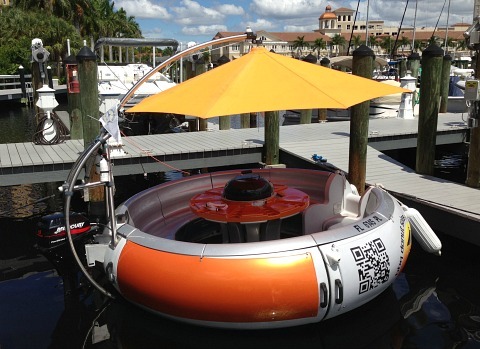 There's a new boat ride at Tarpon Point Marina in Cape Coral, You're not going to believe it, but it's a BBQ Donut Boat ride! Venture Out - Fishing - The Cape Coral area has some of the best fishing in the world. You've got to go fishing at least once and Venture Out offers all kinds of fishing charters. I've used them to go flats fishing and it was a blast! I'm planning another trip to go near-shore fishing. Contact them, everything is taken care of for you, all you have to do is set the date and show up!